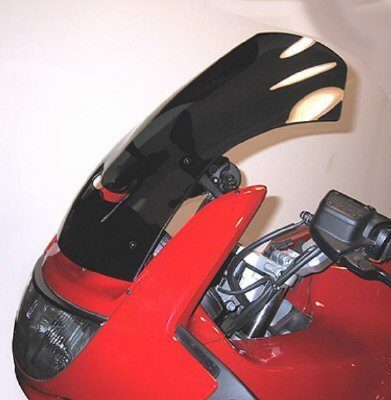 BMW K1200RS windshield for a sleeker more sporty design alternative to the stock OEM shield. Dimensions: 14 Inches Tall by 13.25 Inches wide, Material: FMR Hardcoated GE Lexan® Polycarbonate. Dark Tint..Lexan polycarbonate not usual cheap weak perspex/acrylic!! these screens are bulletproof- see our video for proof! Years of development on previous BMW bikes means it is now doesnt get any better ! !